Learn why most search and social campaigns fail and discover strategies that actually work. 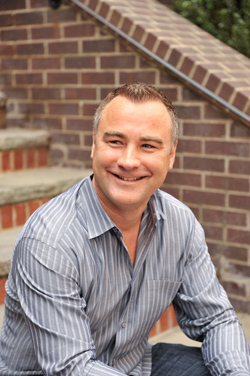 John McDougall is the founder of McDougall Interactive and author of a college text book on digital marketing. His writing and digital marketing seminars have been featured in The New York Times, The Huffington Post, Forbes, HubSpot, Duct Tape Marketing, The National Law Review and more. John’s award winning book, Web Marketing On All Cylinders is available for sale on Amazon.com. Having provided Internet services full-time since 1995, John was among the first to implement search engine optimization. Founded in 1995, McDougall Interactive is a full-service Internet marketing agency that believes a comprehensive strategic plan is the key to success. Our method is simple: we stay ahead of the social media and SEO curve so our clients’ web sites are always in the top search engine results and their brands are consistently generating buzz. McDougall Interactive employs a talented team, including specialists in search engine optimization, paid search, PR, and social media; published writers and prolific bloggers. These industry thought leaders work together to help your business generate more leads and sales by increasing inquiries and conversions. John McDougall discusses the major players on the web, their staggering statistics, and how to leverage them to market your business on the web. A half day of internet marketing strategy — integrate SEO, social media, Google Adwords and more for maximum ROI. 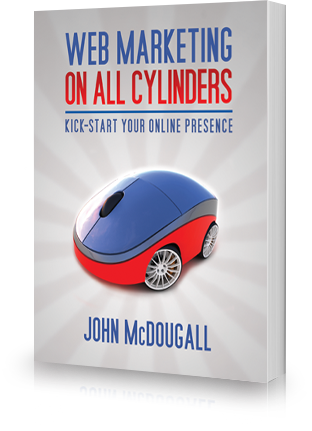 All attendees receive a FREE, signed copy of John McDougall’s college text book Web Marketing On All Cylinders. Jam-packed with useful how-tos and practical advice about SEO, social media, paid search, blogging, content marketing, conversion optimization, and PR, this book shows you how they relate and can work for you and your business.